The Young Group of the Italian Society of Colorectal Surgery (Y-SICCR) was founded in February 2017 (http://www.siccr.org/en/siccr-young/) , after the proposal of a group of young colorectal surgeons and trainees was seconded by senior members of the SICCR. In view of the upcoming SICCR National Meeting in Biella (November 2019), this report offers an overview of the scope of the Y-SICCR, the goals achieved so far, as well as the future goals of this group, which were presented during a dedicated session at the last SICCR National Meeting (Sept. 30—Oct. 3 2017 Rome, Italy). Y-SICCR Committee Members are listed in Acknowledgements section. 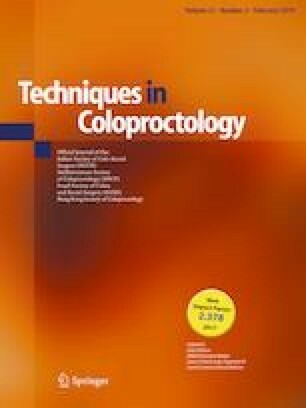 The authors would like to thank the Italian Society of Colorectal Surgery (SICCR) for the invaluable support and generous assistance. The authors are grateful to Y-SICO (Young Group of the Italian Society of Surgical Oncology), SPIGC (Italian Society of Young Surgeon), SIC (Italian Society of Surgery), ACOI (Associazione Chirurghi Ospedalieri Italiani), SIPAD (Società Italiana Medico-Chirurgica di Patologia dell’Apparato Digestivo), ESCP (European Society of Coloproctology) that helped the dissemination the questionnaire among their members. The authors are most grateful to Miss Marina Fiorino for all the support she constantly provides to all the young surgeons in the SICCR. The authors have no conflict of interests or financial ties to disclose. The present paper was exempt from approval. For this paper informed consent was not required.